Looks awesome, but man, $15,000 for the premium hardware thrown in! Want a powerful gaming desktop that’s so beautiful you can show it off like a museum display piece? Check out the Maingear Rush. 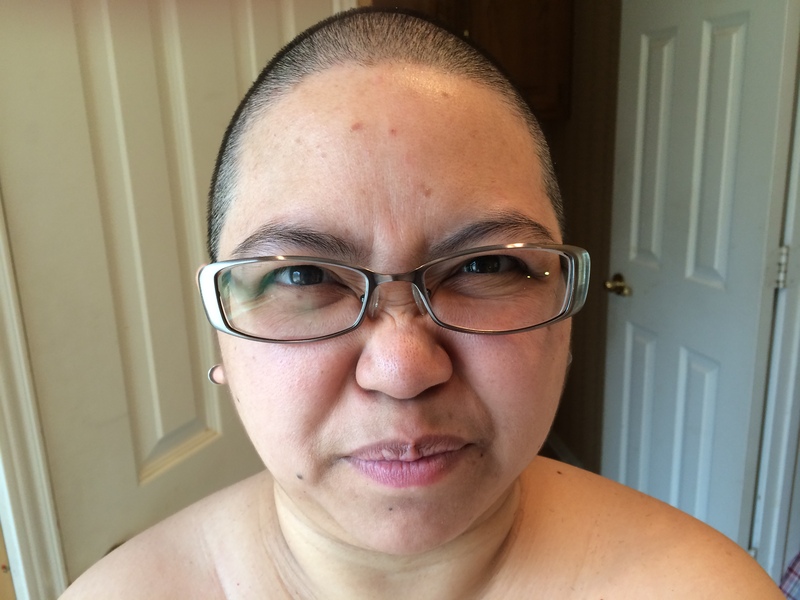 Shaved 4/3/14, with the help of hubby. I’m not as crazy as what Britney Spears did back in 2007, nor am I going to defend it as in observance to breast cancer awareness or even say it is for Kid’s Cancer Buzz Off fundraising. I must admit, though, that I have made that same excuse about the breast cancer awareness thing, and I was planning to do the buzz off event (which isn’t until May 4th), but I didn’t want to give a false impression or even insult those that have actually done the deed for their cause, and I had no time to do the actual fundraising for the buzz off (though I might try it next year if they are having one, and I would be better prepared). Why did I do it? Number of reasons (excuses?). I’ve been complaining of the summer heat (years ago) that I want to shave my hair off. I’ve been wanting to shave it for the sake of getting the thinness of the hair thicker as it grows back. I wanted to see if I had any bald spots, because of the same thinness of my hair. I wanted to see what the shape of my head looks like. I wanted to see what I looked like with no hair. I just wanted to do it, that’s all. Many may say, “..but all that hair…”, but I’m reassured my hair will grow back, as it has been a couple of weeks already and my hair has grown almost half an inch. My mother told me hair grows an inch a month, so maybe in 6 months or hopefully less than that, my hair will be back to a decent length. 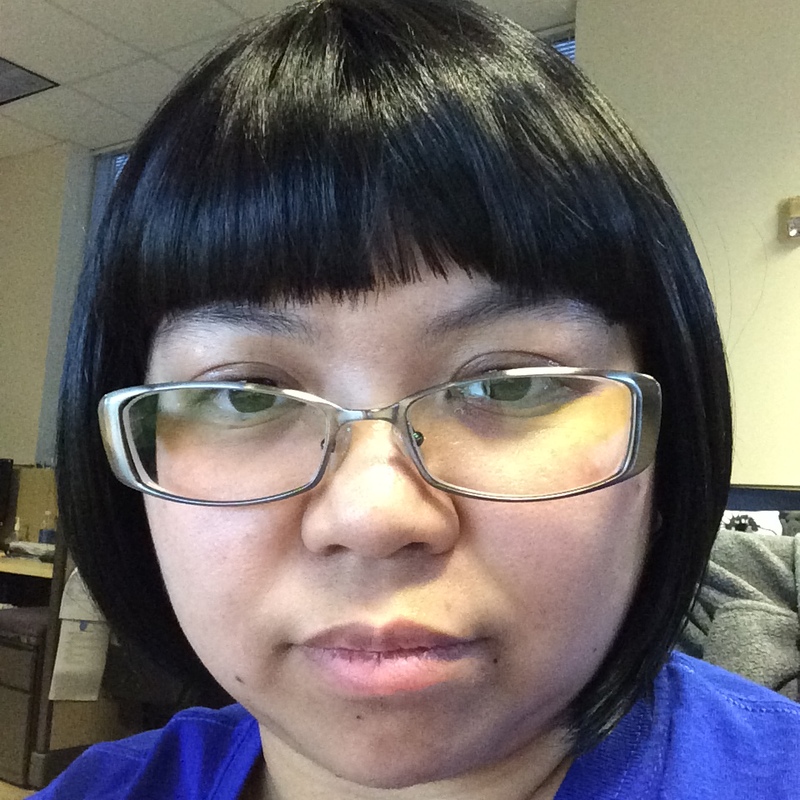 Bob-style wig, but I think it makes me look like Edna Mode from The Incredibles animated movie. Don’t worry, I have a couple of wigs to use, a bob style and a very short pixie style. My loving husband actually helped me shave my head before I shaved his for his monthly haircut. He really liked my how my shaved head looked and would rather I not use a wig at all. 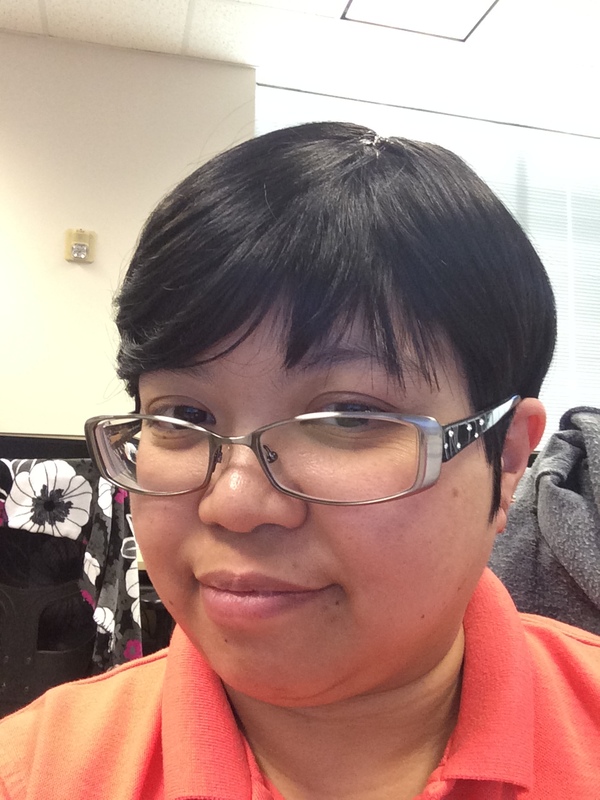 Of course, I don’t want to shock many people so I use my pixie-cut wig at work on weekdays. I also use a little cap to cover up if I don’t feel like wearing the wig. So, I was chatting with a co-worker tonight and he told me a funny true-to-life customer service situation he had experienced in his nine years of customer service. was the keyboard plugged to the PC? did she try to reboot her PC? is there a loose or open wire on her keyboard cable? and so on. She said she did all those and explained it worked for a while and then stopped working. So, my co-worker (I will call him A) sent a tech onsite to help hands-on. The tech called him back a half and hour later and this is how the conversation started. Tech: Man, you won’t believe this. Tech: You just can’t believe what she did. A: Did you fix it? A: What was the problem? Tech: She took out all the character keys out and put them in alphabetical order!